"Emergency, Emergency, Emergency. Amtrak 506. We're on the ground. 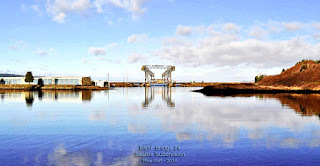 Bridge 14. Over." 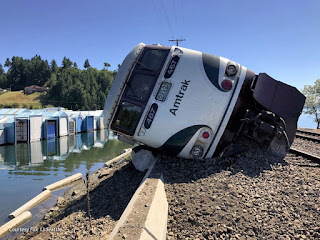 The engineer sent that transmission from an Amtrak “Cascades” locomotive lying on her starboard side, pushing up a mouth full of ballast. overlooking the idyllic Chambers Bay Marina, located at Steilacoom Washington, 45 miles (72 kilometers) south of Seattle. 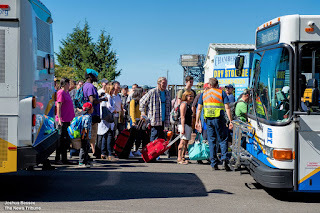 Northbound Amtrak 506 originating in Eugene, Oregon, with 267 souls aboard, had just cleared Steilacoom, traveling up the beach along the Salish Sea (Puget Sound) on Main 2 toward Vancouver, British Columbia. Amtrak Cascades is an intercity passenger rail service along the Pacific Northwest Rail Corridor, one of 11 federally designated rail corridors in the United States. 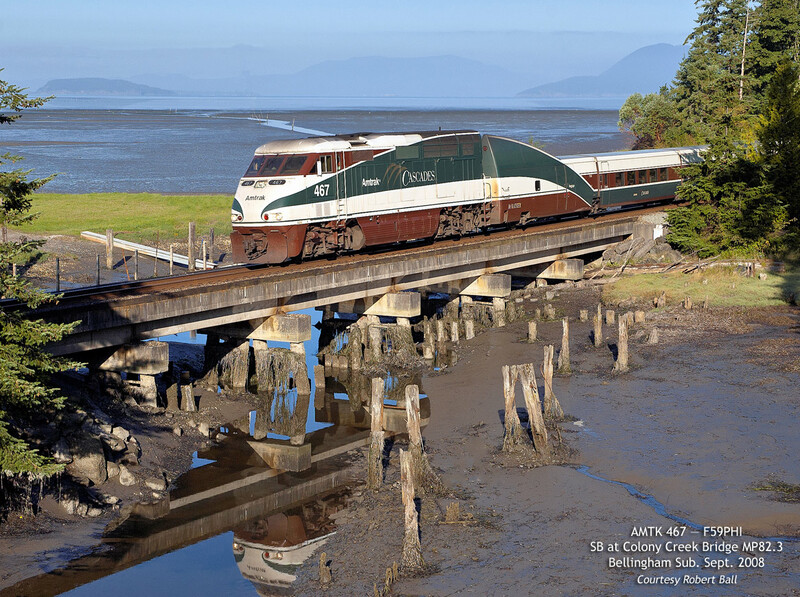 National Geographic placed Amtrak Cascades as #3 on their top ten train trips of North America. 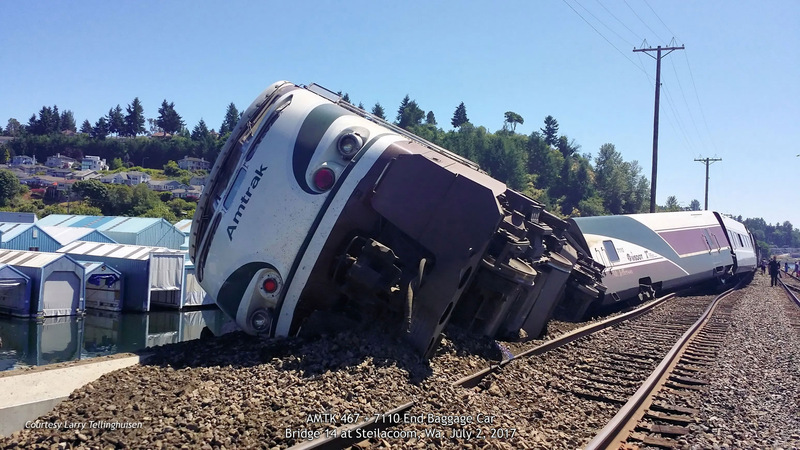 The train derailment was not an "accident." It was deliberate. 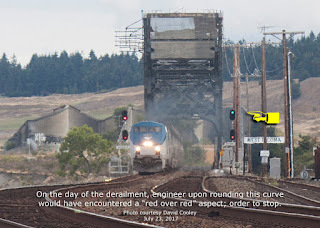 Locomotive AMTK 467, on final approach to Strauss patent lift span Bridge 14, passed an Absolute Signal, showing a red over red aspect and immediately derailed. AMTK 467 and end baggage car came to rest laying over to the right. 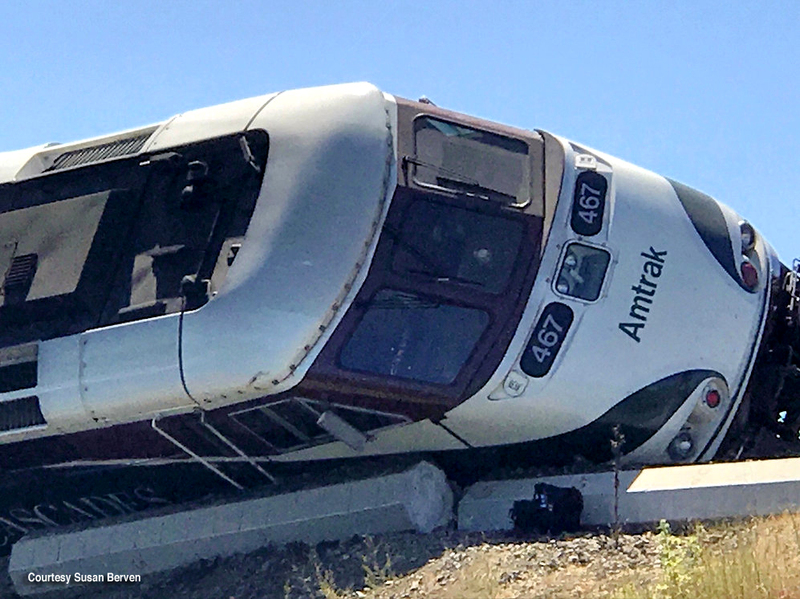 Two trailing passenger cars derailed, but remained upright. 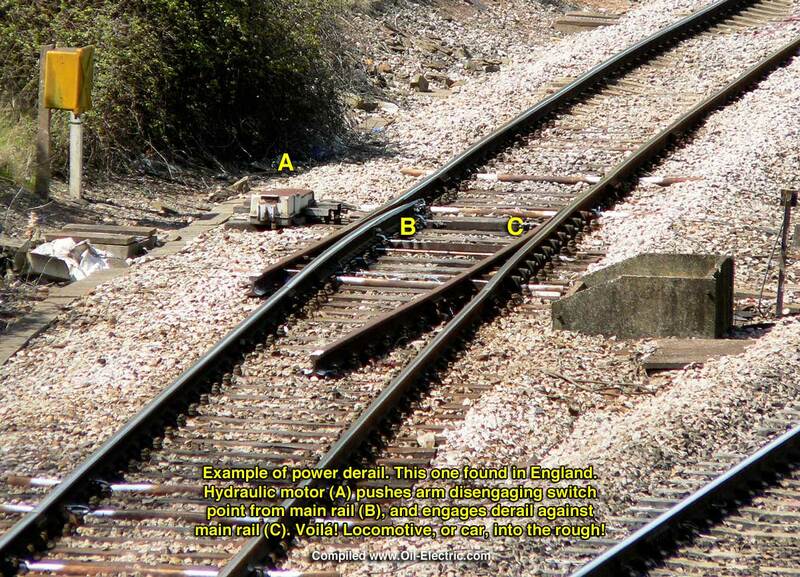 The remainder of the trainset, including AMTK 470 and Talgo Cab & Auxiliary Power Car, stayed on the tracks. 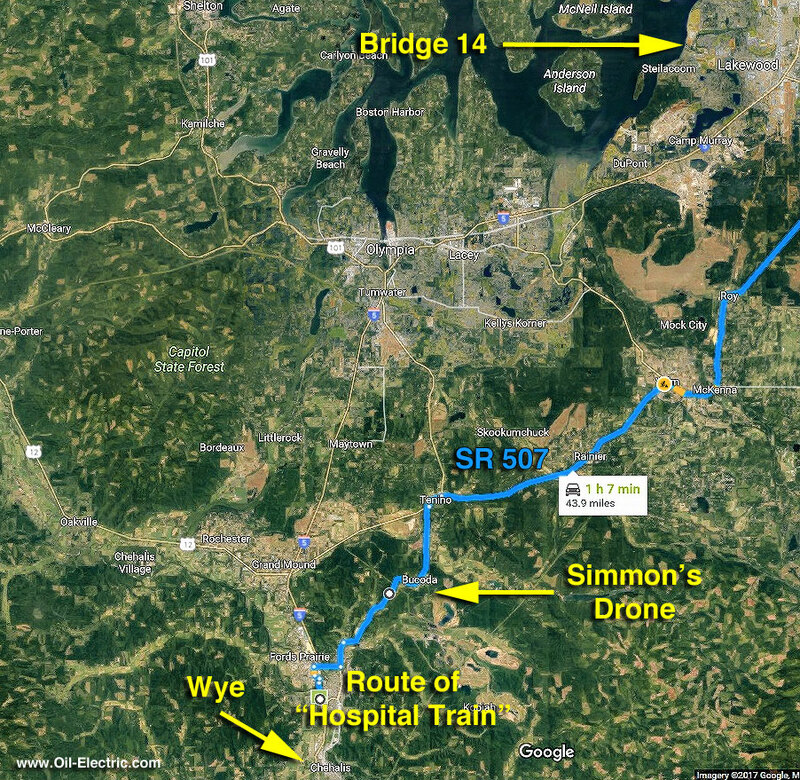 Continue listening to the radio traffic between engineer and dispatcher. 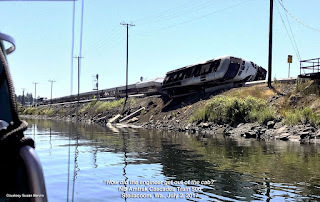 At 3:50 into the recording, engineer estimated his speed “between 20 to 30 mph.” when he left the rails. 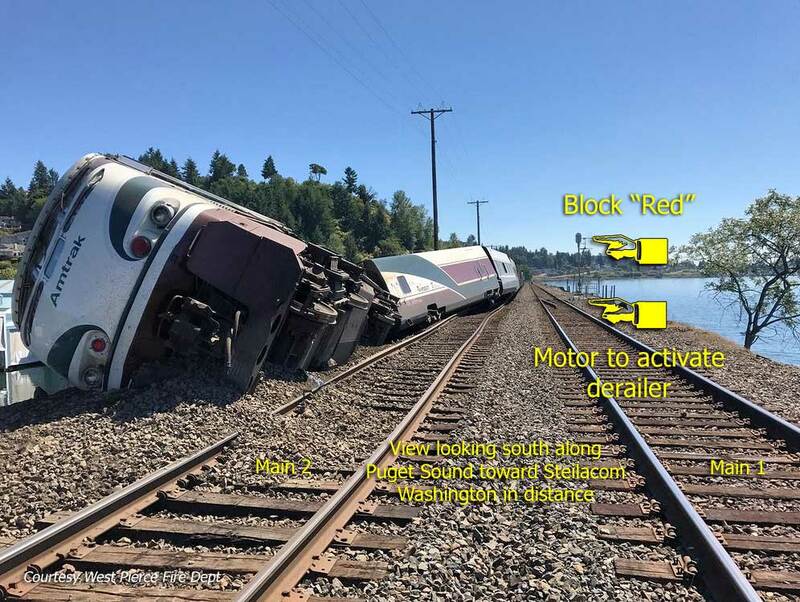 No “official” ruling will be available until the Federal Railroad Administration completes their investigation to determine whether it was operator error or a mechanical malfunction that contributed to the incident. 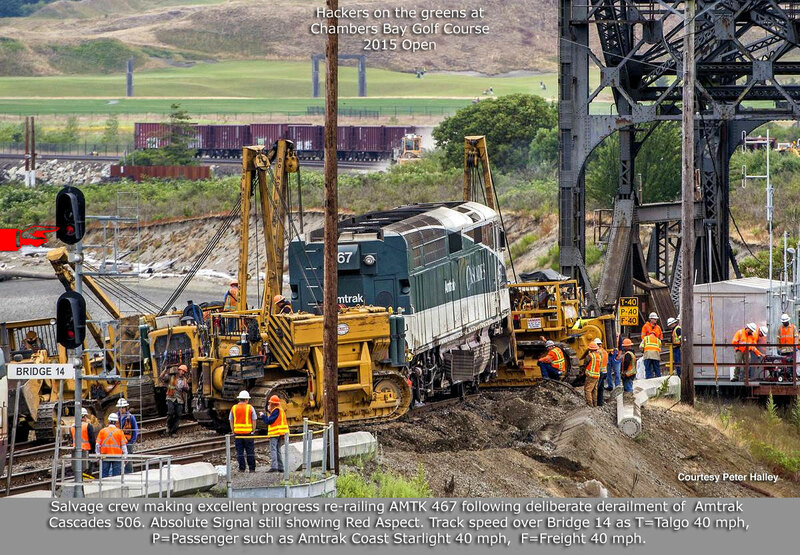 On the other hand, Amtrak already officially has stated the derailment was caused by human error. 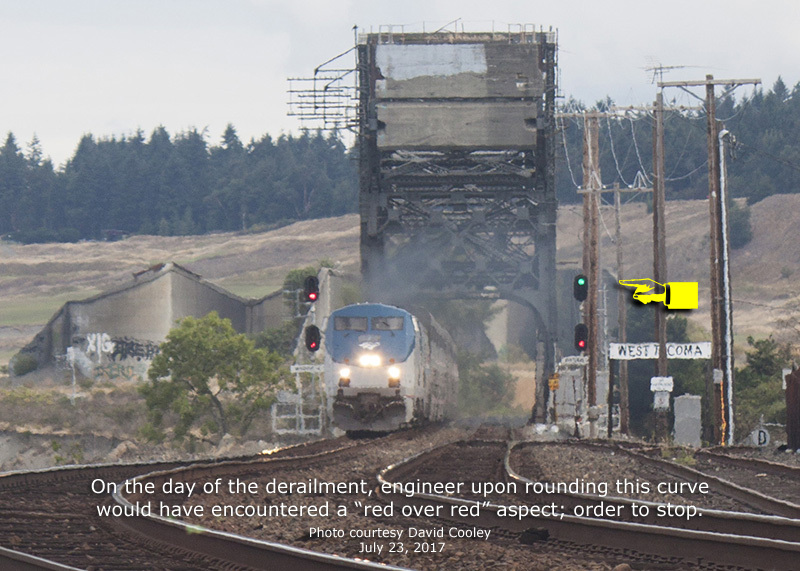 The train wasn't being operated in accordance with signal indications in approach to Bridge 14 and the engineer wasn't able to stop before passing the red signal and encountering the derail. • Series 8 Talgo trainset, named after Mt. Jefferson, located in Oregon, is a 13 car push-pull consist, owned by the Oregon Department of Transportation (ODOT). Also own a second trainset, Mt. Bachelor, another Oregon landmark. 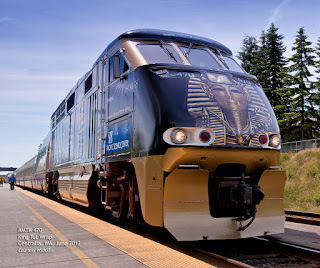 • Amtrak owns the locomotives. 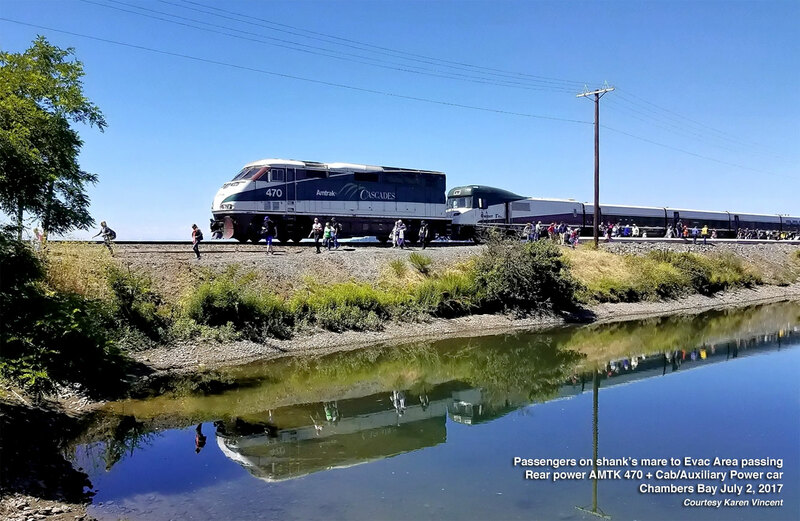 • Train crew — engineer, conductor and car attendants — get their paychecks from Amtrak. 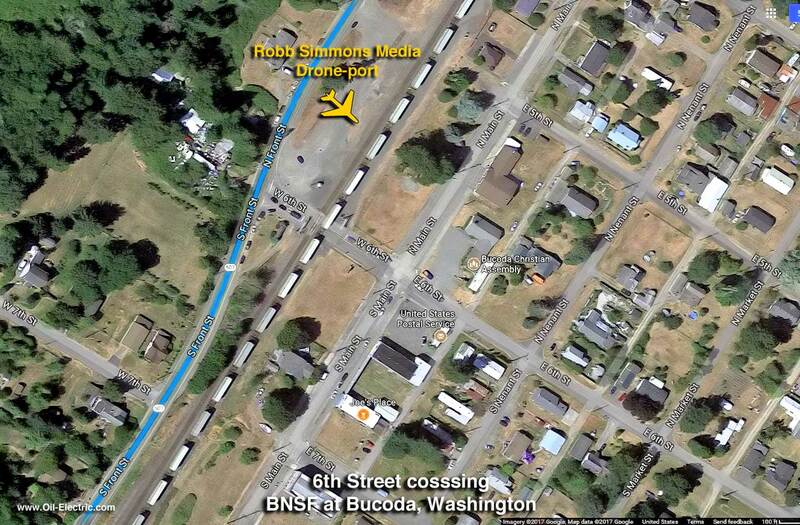 • Train movements are controlled by BNSF dispatch. 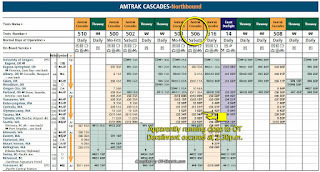 • Amtrak Cascades Talgo trainsets are designed for high-speed rail service. 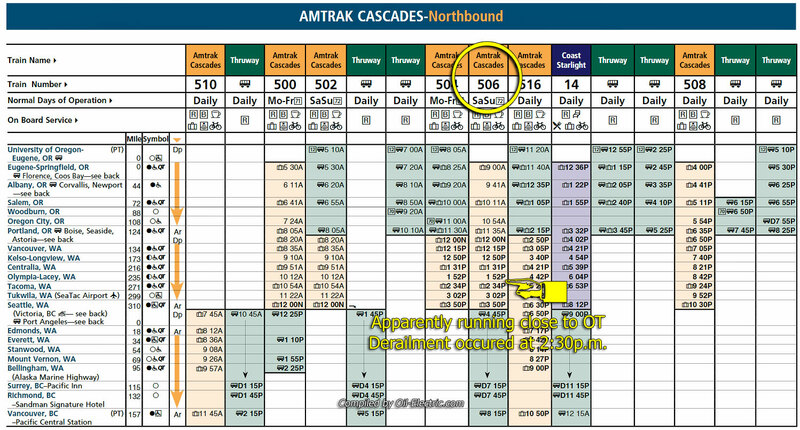 Cascades are allowed maximum speed of 79 mph (127 kph). 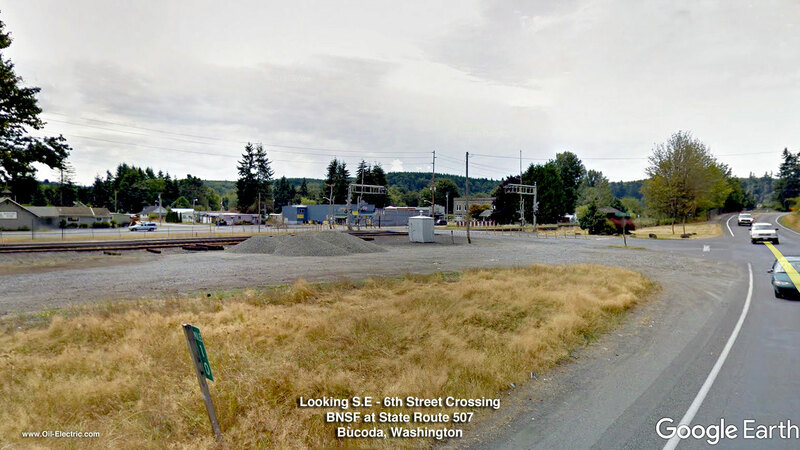 • Passing northbound through Steilacoom, posted speed , 50 mph (80 kph). 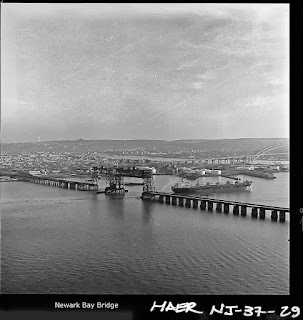 • Posted speed crossing lift span, 40 mph (64 kph). • Three signals control the approach to the bridge. 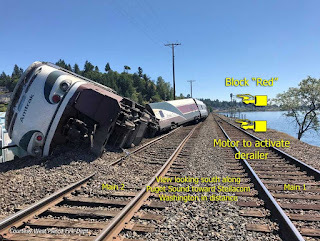 Mike Elliott, Washington state government affairs director and spokesman for the Brotherhood of Locomotive Engineers and Trainmen explained to The Seattle Times, "Signals are 1½ to 2 miles apart. On most modern tracks, if a drawbridge is not locked in place an engineer would likely see a flashing yellow light, followed by a solid yellow light, and be decelerating before approaching the red stop signal a couple minutes later." As the name implies, the purpose of a derailer is to divert the locomotive, or runaway cars, off the line and into the rough. 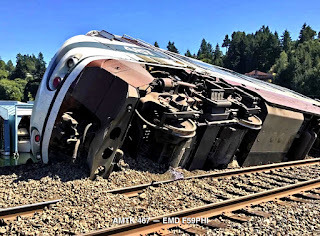 "On the ground," as railroaders describe the outcome. 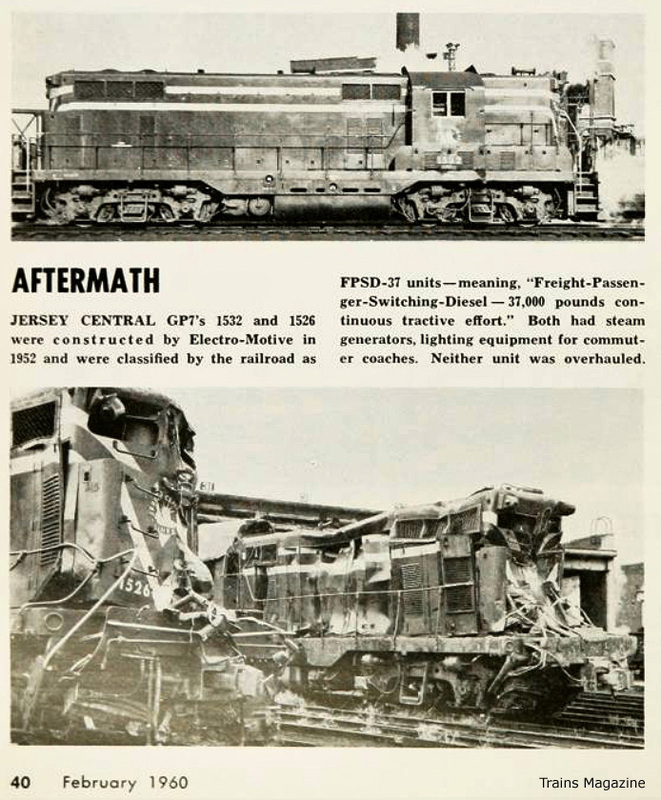 Derails come in a variety of configurations. 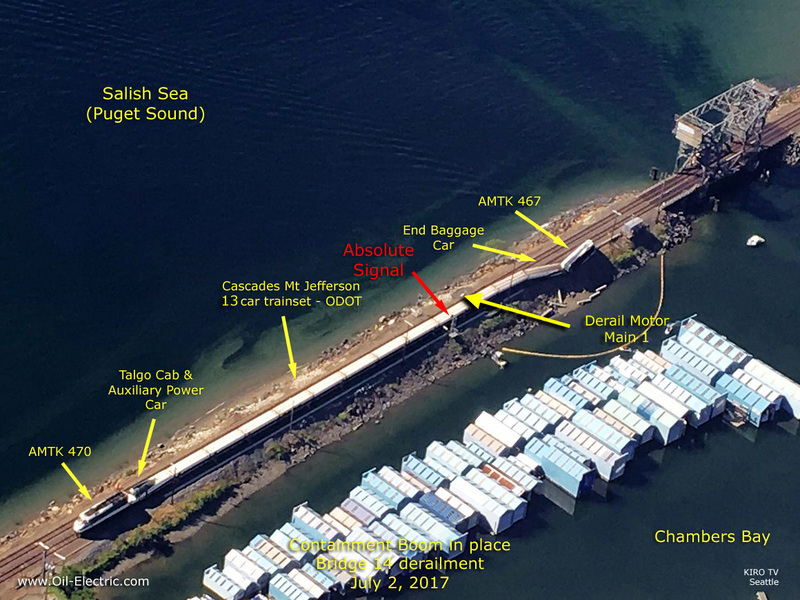 The BNSF track diagram identifies the derail at the south end of Bridge 14.4 as a "Power Derail." 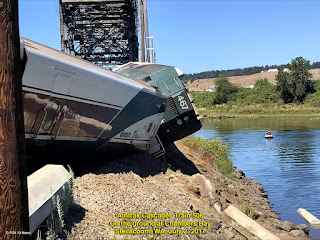 No matter what the "type" is, the desired result of engaging an activated derail is to prevent a train from either running into the bridge deck if it ascending or descending, or worse, into the drink if the bridge is fully raised! 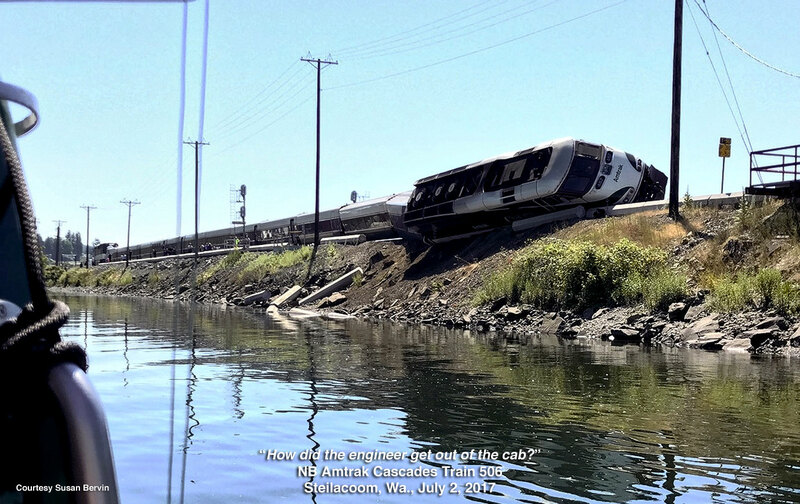 This eyewitness account, recorded after the train was removed, explains the sequence of events, including the bridge tender leaping into the bay. BNSF spokesman Gus Melonas did confirm a worker jumped off the bridge, falling down the bank and into the water. The worker sustained minor injuries. Numerous agencies responded including the West Pierce Fire & Rescue. Washington State Dept. 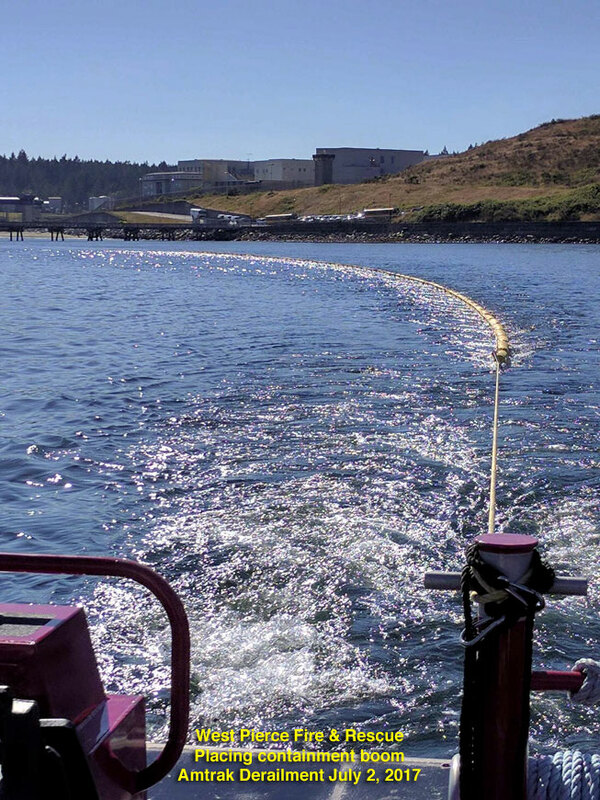 of Ecology directed placement of containment booms to protect Chambers Bay and Puget Sound against the possibility of leaks from the locomotive. 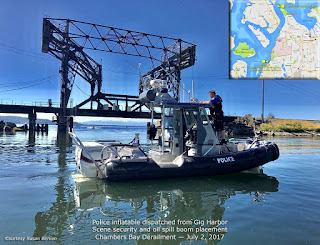 Traveling a significant distance, the Gig Harbor Police Dept. sent an inflatable to assist in that effort. While various news agencies reported “minor injuries,” none of them thought to be more definitive about those injuries. 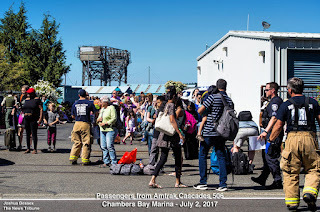 A triage area was established amongst the storage buildings at Chambers Bay Marina. Passing through a single isle queue for a head count, passengers were loaded into buses and sent to the Tacoma Amtrak Station. 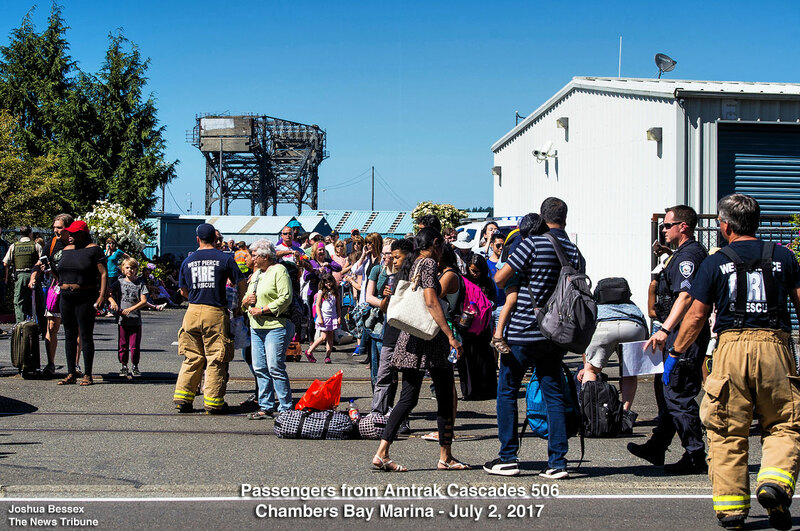 Baggage was retrieved when the damaged cars were pulled adjacent the Marina. BNSF Mains 1 and 2 closed for several hours allowing salvage equipment unfettered access to re-rail damaged locomotive, end baggage car, and two passenger cars. By late afternoon, the derailed cars and locomotive were back on the rails and towed from the accident site. Normal service resumed by late Monday afternoon. 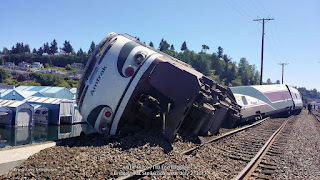 The Mt Jefferson trainset was parked at East Olympia. 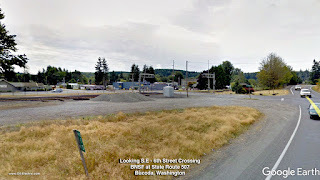 On Saturday, July 8, BNSF took the train south to Centralia to be wyed. 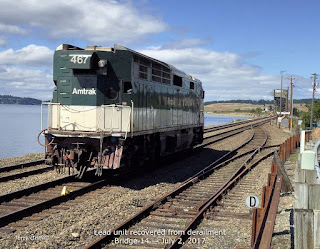 Once the trainset was turned around, AMTK 470 took the trainset north to the King Street Maintenance Facility in Seattle for inspection. 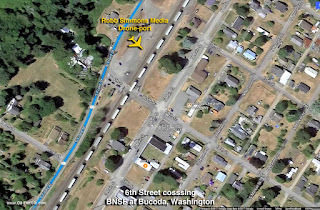 Robb Simmons Media caught up with the remnants of 506 passing through Bucoda, Washington at the one and only grade crossing into town, 6th Street at State Route 507. 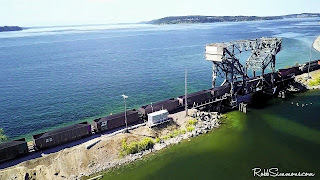 Robb captured a great drone sequence on July 8, of the “hospital train” enroute to wye in Centralia. “Hospital train.” I admit, this is a new one on me. 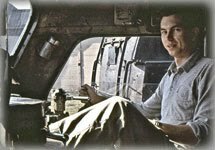 I have been a ferroequinologist since 1957. I pictured a hospital train as a train full of doctors, nurses, and patients! 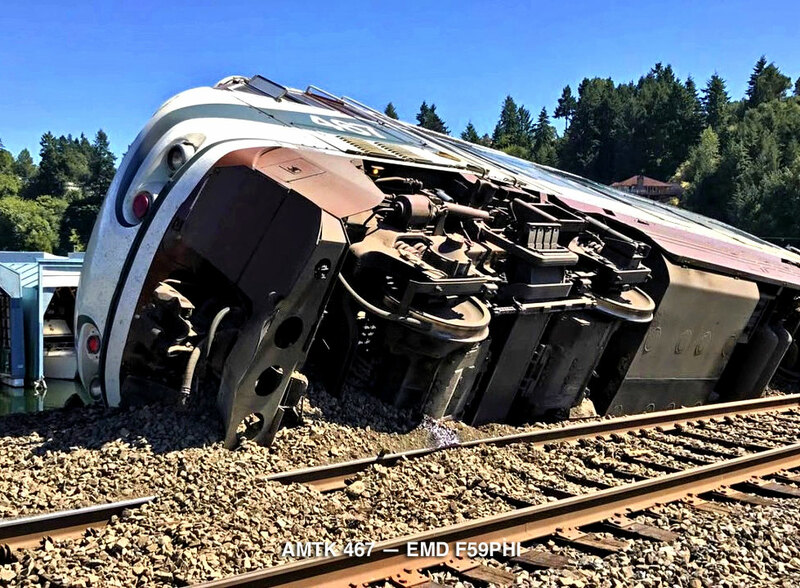 However, in this connotation, a hospital train is the movement of wounded locomotives and/or rail cars from an incident to repair facilities. In this ground level shot, we get a glimpse of the Mt Jefferson trainset cab and auxiliary power car coupled to AMTK 470. 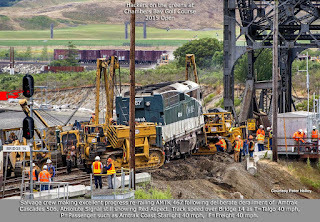 Lead locomotive, AMTK 467 was taken to Seattle, where her traction motors are being evaluated. 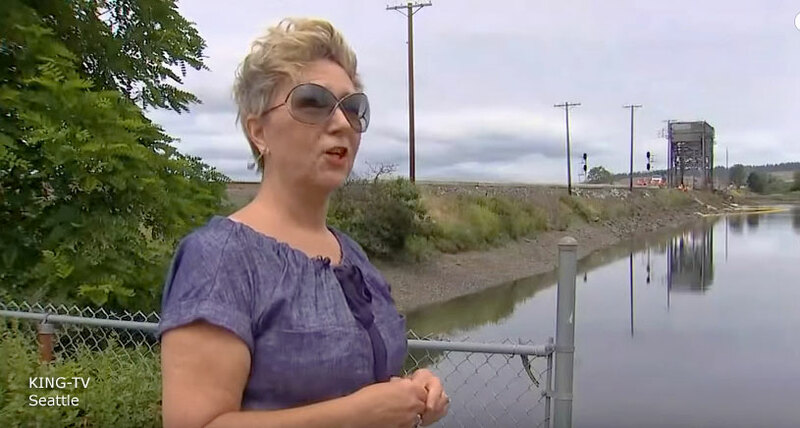 Should she need further action, it would most likely take place at Amtrak's Beech Grove facility. On July 8th, Robb flew another drone sortie in the area of Bridge 14. At 10:40 into tape, we see a northbound coal train on Main 2. 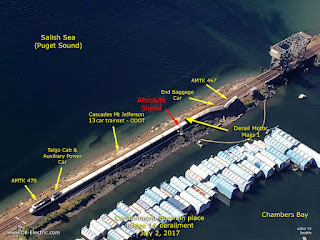 The locomotive passes the Absolute Signal where the derail is located, and we can see the scar on the embankment where AMTK 467 came to rest. 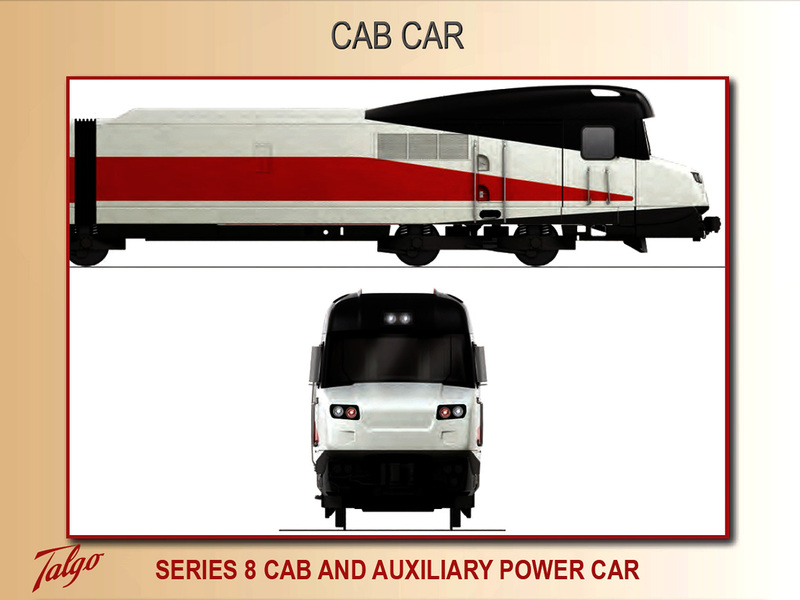 The Amtrak "Cascades" is a Talgo push-pull — or is it pull-push — with a powered locomotive on one end, "factory supplied" Cab & Auxiliary Power Car. The integral cab car of the Series 8 houses an auxiliary head-end power generator and a compressor, but does not have any means of propulsion. 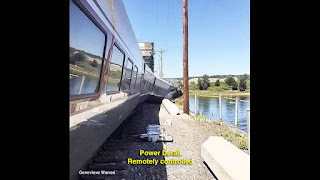 On this particular train, Amtrak F59PHI's were plugged in on each end. A young woman reporter enthusiastically reporting on the event mentioned "the front of the train" was standing behind her. Actually, it was AMTK 470 on the “rear” of the train in front of the Talgo Control Car. In normal operation, an Amtrak locomotive is coupled to the End Baggage Car of the Talgo trainset, with the Cab/Auxiliary Power Car being the "front" of the train. On this run the Cab Car had issues, which required AMTK 470 to become the lead unit "heading south." • Once sported the “King Tut” wrap around, advertising the King Tut Exhibit in Seattle back in 2012. While it is common practice to install derails to prevent trains from running into the drink, they do not always provide the intended protection. 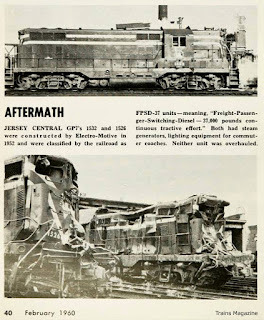 You may recall the disaster in September 1958, when a New Jersey Central commuter train ran through three signals, and flicked onto the ties by a derailer. The train continued almost 500 feet — on the ties — resulting in two Geeps and four passenger cars nose-diving into Newark Bay. A fifth car hung up on the bridge works for some time before breaking loose landing on the wreckage below. An estimated 90 to 100 souls were aboard the north bound train. 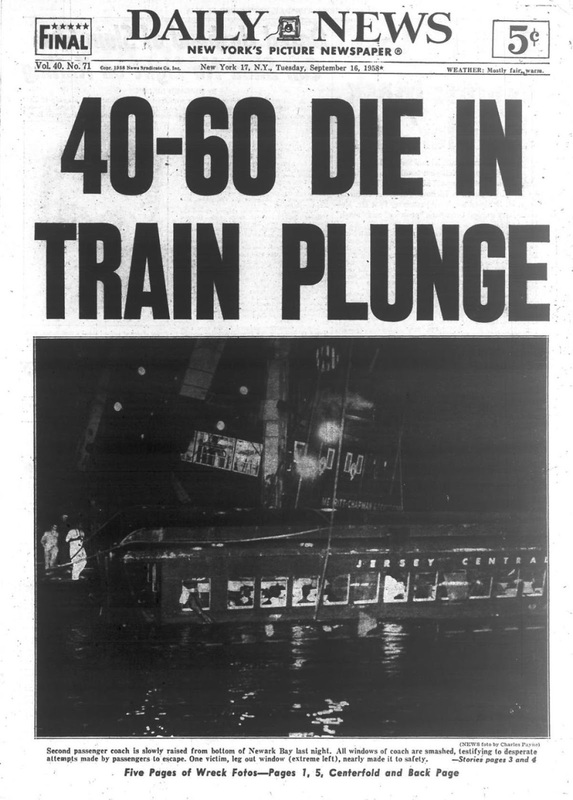 The accident claimed 48 lives, ranging in age from a 4-month-old baby named Paul to a retired Yankees all-star George "Snuffy" Stirnweiss and the mayor of Shrewsbury Township, New Jersey. 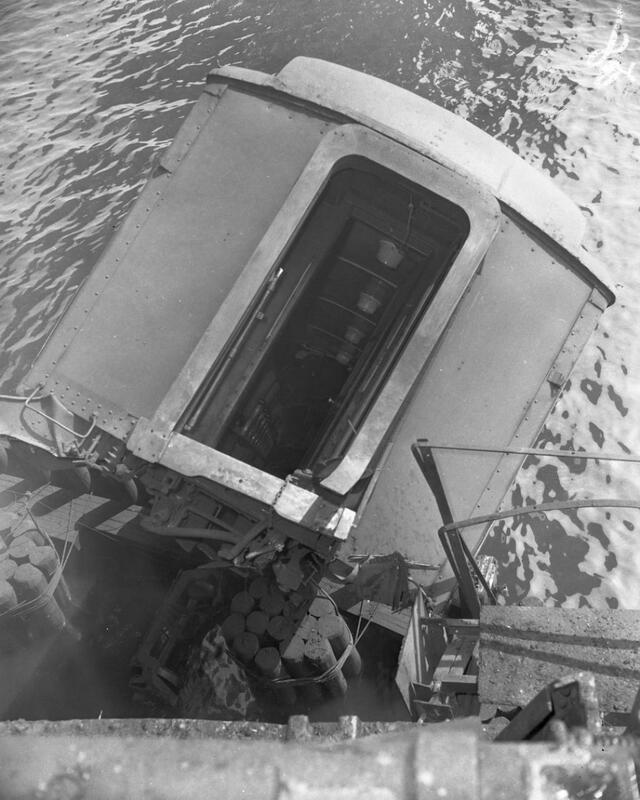 In a grotesque chain of events, front-page news photos showed the car hanging from the bridge, its number clearly marked as 932. 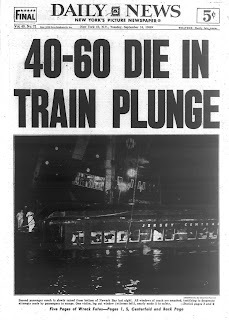 That same number hit the next day in the numbers racket at 600-to-1 odds, according to newspaper reports at the time. The loss to the metropolitan numbers bank estimated at $50 million. Many fled to avoid paying. • Bridge 14 Demystified — June, 2009. • Bridge 14: Revisited — April, 2010. 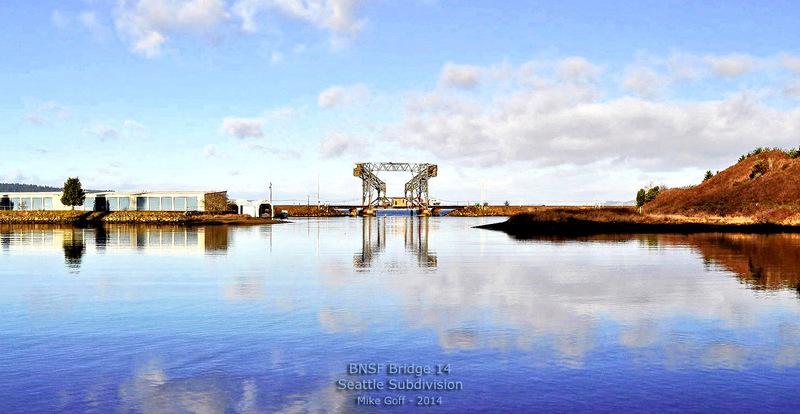 • Chambers Creek Bridge 14: The Real Skinny — January, 2014. • 115th US Open at Chambers Bay — June 2015.